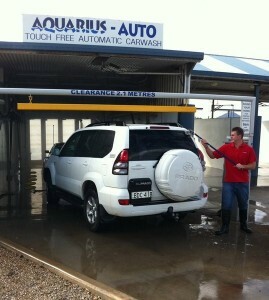 Our 24/7 automatic service is a touch free wash so rest assured nothing will get the rough treatment. On our Platinum, Ultimate and Deluxe wash cycles we offer a prepping service on our automatic which is available 7 days a week between 9am and 5pm. At Aquarius Car Wash we offer you the opportunity to clean your car without lifting a finger. High quality detergents and a patented touch free process means your car is cleaned safely and conveniently without you leaving the comfort of the driver’s seat! Rest assured if you’re not satisfied with your cleaning experience we are not satisfied and are only too happy to put you back through to get the desired result.